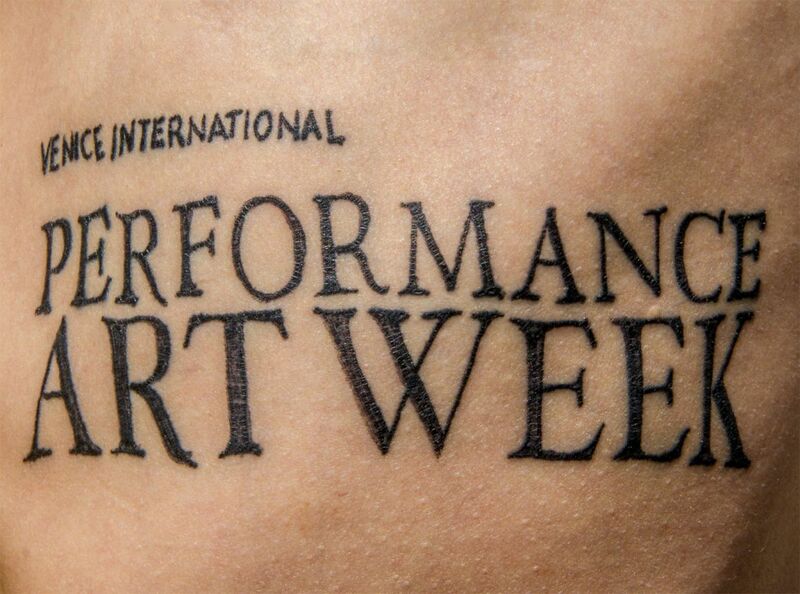 Tattoo for Venice (2012), video performance. 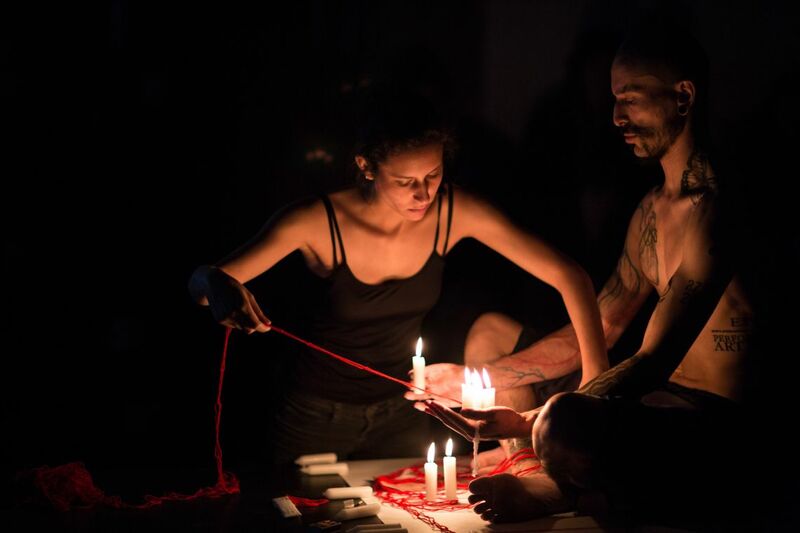 Alperoa, Par de patoz de lanaroja y velas (2012), Live performance in collaboration with Pamela Navarro Ortiz, and video Tattoo for Venice (2012) at the VENICE INTERNATIONAL PERFORMANCE ART WEEK 2012. Image © Monika Sobzcak. Born 1981 in Chiguayante (Chile). Lives and works in Concepcion (Chile). The line of Alperoa's work in performance, action art and happenings is marked by captivating intimate decisions, poetically-raw acts, as if reality was philosophizing with a hammer. His performances are characterized by a continuous and precarious game of trust - between partners, friends, the artist and the public. When can a system of social relations work, and what does each single one have to contribute to it? Working often on the corporal limits, Alperoa uses his body as a mere object and poetic canvas for the action. At the VENICE INTERNATIONAL PERFORMANCE ART WEEK 2012, Alperoa presents the live performances Par de patoz de lanaroja y velas (Serie de acciones performaticas) and the video Tattoo for Venice, which displays the realisation of the offical image of the VENICE INTERNATIONAL PERFORMANCE ART WEEK.